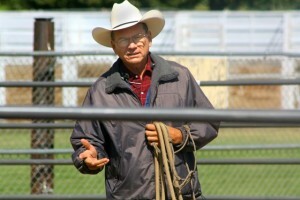 Horse Whisperers and Round Pen Trainers. Not many of them like these labels. Perhaps natural horsemanship is a correct term. Certainly to call them “trainers” is not very defining but however you label it, the natural horsemanship system has caught on in a big way. For the purpose of my blog I’ll use the initials NH. There are several different methods of NH but all of them are based on using the horse’s natural instincts and traits to develop a better working relationship between horse and horseman. The methods run the gamut from making the horse run around a round pen until it’s lungs burn, or dogging it until it gives up, to refining leadership (which may or may not be a natural quality in a person), to playing games, to developing an extreme mental connection with the horse.What have been the benefits of this type of training? As horses moved from being necessary animals to being pets, they faced some difficult times and for a while, their numbers dwindled. The NHers have done a lot to make people aware of past cruel treatment and as “new” methods were adopted, many horses moved into a kinder, gentler lifestyle. NH has become a big industry within the horse industry because it provides a method, a set of steps and levels, for horse lovers, particularly amateurs, to follow. It’s provided the needed gurus, and games and principals for the average person to manage and enjoy their horse. In other words, it’s taught horsemanship to non horsemen. This is a good thing because the ordinary horseman, the pleasure rider, has become a huge segment of our U.S. Horsemanship culture. In fact, NH has become a horse culture of it’s own. Some NHers are good cowboys who pass their knowledge along while making a living. Others are promoters who have figured out how to package and market to a hungry public. And others have used their skills to develop horse spectaculars that are awesome to watch. Aside from certain core methods, there is a common thread among NH trainers, the need to make a living. But that’s a fairly common human need. Frederic Pignon may seem to be at the extreme edge of NH but watching the horses perform in Cavalia is an experience of a lifetime. Frederic has taken the relationship between human and horse into the twilight zone and his spectacular is really spectacular. He and his wife Magali Delgado have retired from performing but not from horsemanship. Their book Gallop to Freedom is a wonderful read. What makes NH work? Is it packaging? Tricks? Games? well maybe it’s some of each but the bulk of it is the genuine understanding of actions, reactions combined with the instincts of a natural born horseman. Most NHers attribute their training foundation to Tom and Bill Dorrance, either directly or indirectly. Bob Lemmons (about 1847-1947) didn’t become a horse whisperer in order to better the lot of horses, but but being a mustanger, it became his way of life. And just like today’s NHers, he made his living “whispering”. To read more about Bob Lemmons, look for “the Mustangers” by Frank Dobie. It’s easy to find on line. And also take a look at http://www.tshaonline.org/handbook/online/articles/LL/fle72.html for an article with more historical facts. If you’d like to pass this story on to children send them to the library for “Black Cowboy, Wild Horses” by Julius Lester and Jerry Pinkney. Great post! Wonderful to read about the insight and ability of these trainers. Learning to become aware of the subtle cues and changes in a horse and using that to make learning easier. That seems very “natural”. That goes to show that there really isn’t “anything new under the sun”…. I so value the knowledge and experience of the horsemen who came before us. It’s one of the reasons I started US Horsemanship. I hate that we could lose this wonderful background. I wonder if your friend is still around? I would love to be able to explore more of this history and share it with everyone. Thank you for sharing this. I enjoyed this post! I am going to check out Harry Whitney’s website. Thanks!